Okay, so it’s a Tyrannosaurus Rex vs. Captain Hook vs. Stephen Hawking, only Hawking is in a robot body, T-Rex thinks he’s a chicken, and Captain Hook has the One Ring. So… Who Beats Who? That’s the kind of timeless and deeply important questions you’ll ponder in this hilarious party game. Who Beats Who? 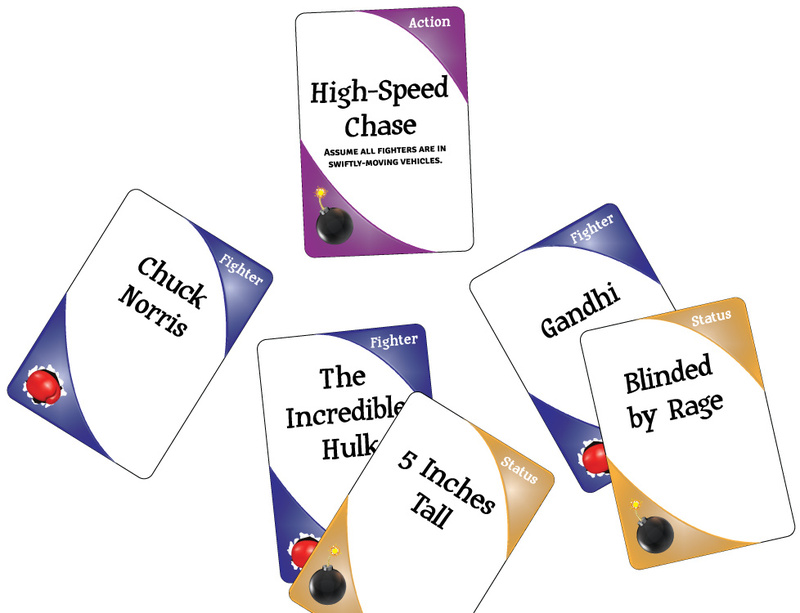 is a party game of hypothetical battles for 3-12 players. Yes, 3-12! Although, frankly, we wouldn’t play with seven. Seven is weird. If you’ve ever stayed up to the wee hours debating the finer points of Freddy vs. Jason, or Kirk vs. Picard, this game’s for you. And seriously, who really thinks that the landmark case of Alien v. Predator really settled anything? Nobody even stopped to ask, “what if Predator had laser eyes?” But you will. Oh yes, you will. Once you reserve your very own copy on Kickstarter (April 2013) that is. We’re glad you asked! Who Beats Who? is extremely easy to learn. Here, we’ll teach it to you. 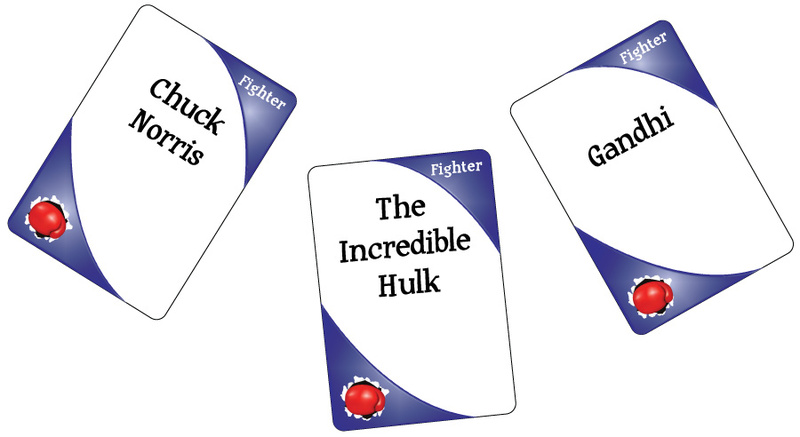 Each player starts with a hand of three Fighter Cards and three Battle Cards. Fighter cards represent combatants; Battle Cards represent the wacky complications that will ensue during the fight. At this point, all players (except the judge) will write down which fighter they think will win. Now this is a fight! 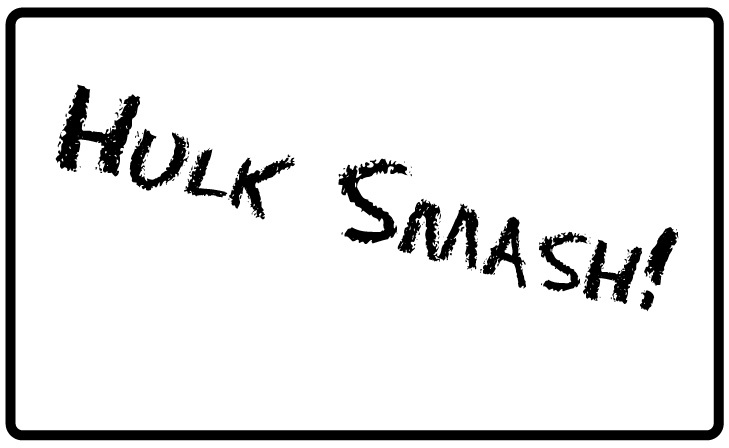 Can 5-Inch Hulk reach the gas pedal? Will Gahndi’s rage send him careening into a guard rail, or just give him an incredibly dangerous case of road rage? Or can an unimpeded Chuck Norris out-drive and out-roundhouse-kick his foes? Players are encouraged to argue their cases (come on, even at 5 inches, you wouldn’t like him when he’s angry! ), but in the end, the judge will decide who wins the fight. If the fighter card you played wins, take that card and put it in a score pile in front of you. It’s worth 2 points at the end of the game. If the fighter you wrote down as your bet wins, put your battle card in your score pile; it’s worth 1 point at the end of the game. And that’s pretty much all there is to it! For the complete official rules, click here. The game should be up on Kickstarter in the near future. If you want to stay up-to-date, you can like us on Facebook. Or, better yet, you can sign up for our mailing list. We pinky swear we will only use this list to let you know actually important stuff, like when and how you can get the game, and we’ll never, ever share your email address with anyone except the aliens who live in our fillings. Finally, you can subscribe to Spoiled Flush Games’ RSS feed.